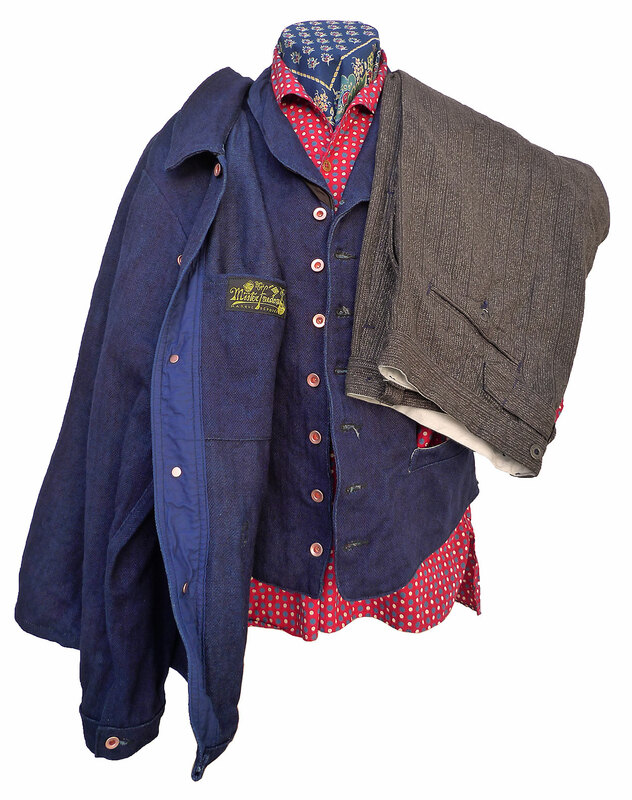 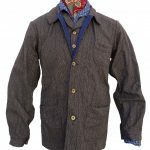 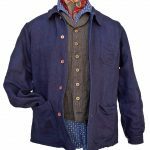 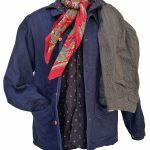 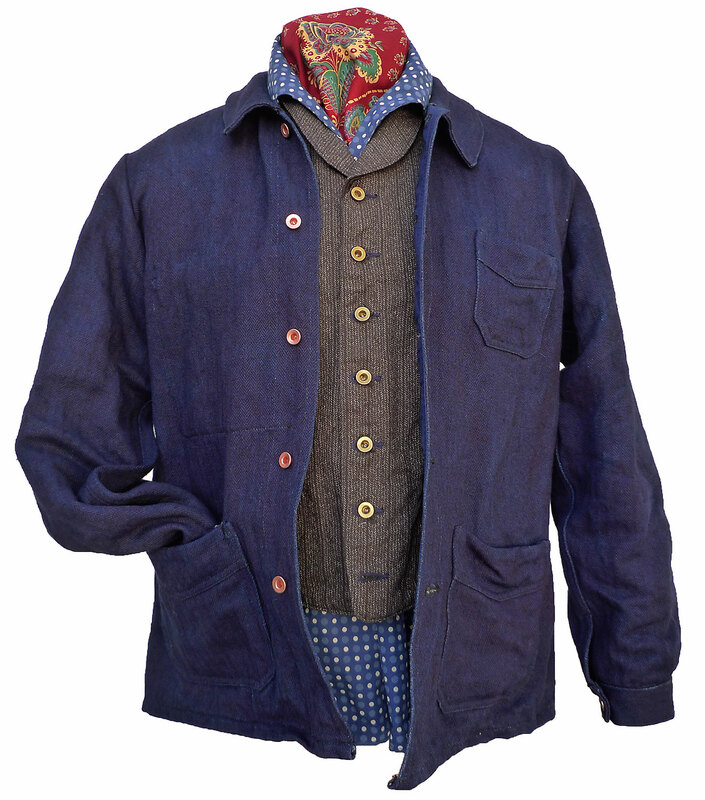 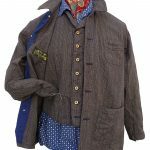 * MF® Veste “Belleville”: indigo cotton-linen HBT and cotton covert stripe. 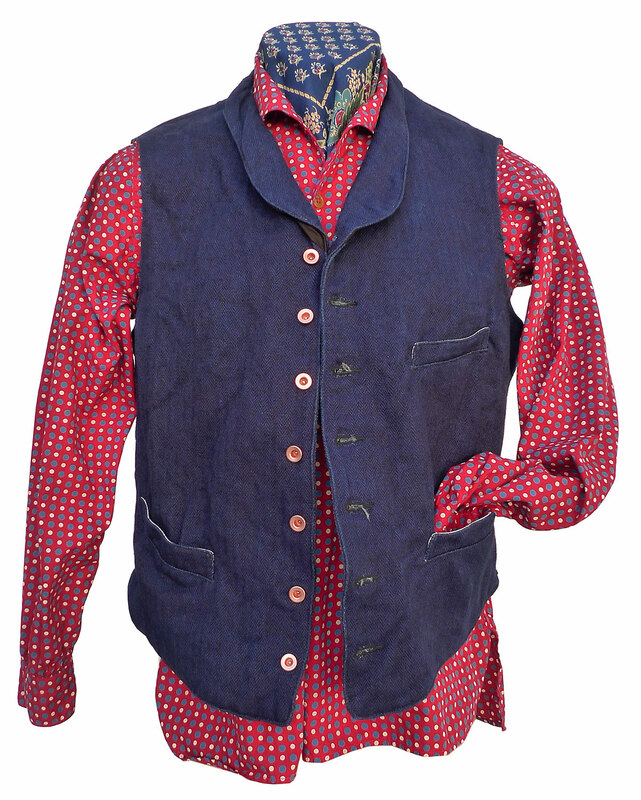 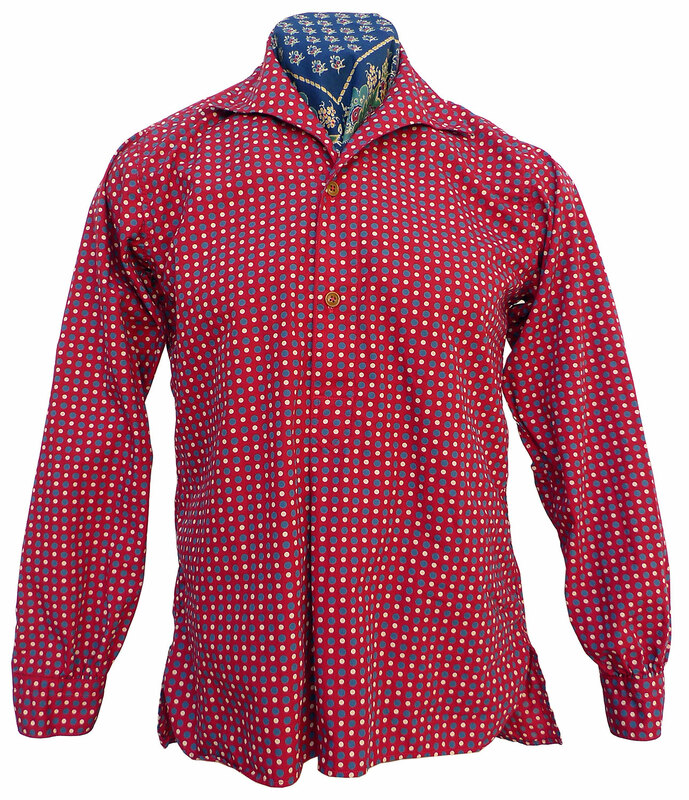 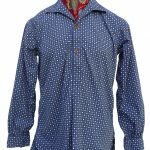 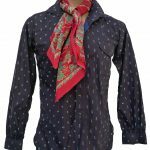 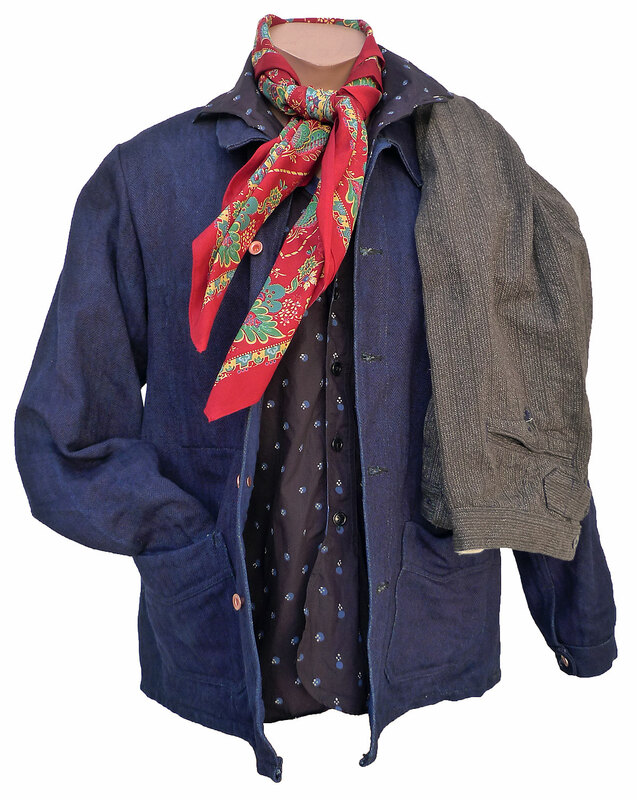 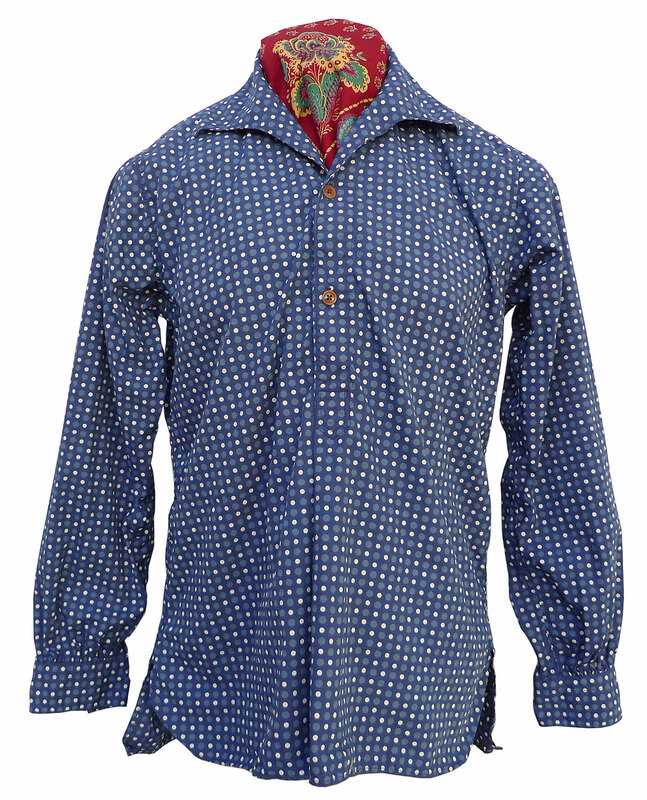 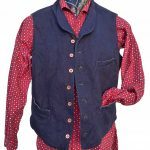 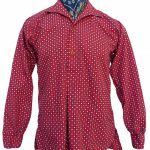 *MF® Liquette “Manouche”: red and indigo polka dot cotton poplin. 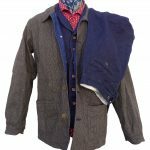 *MF® Liquette “Tzigane”: Kekfestes indigo. 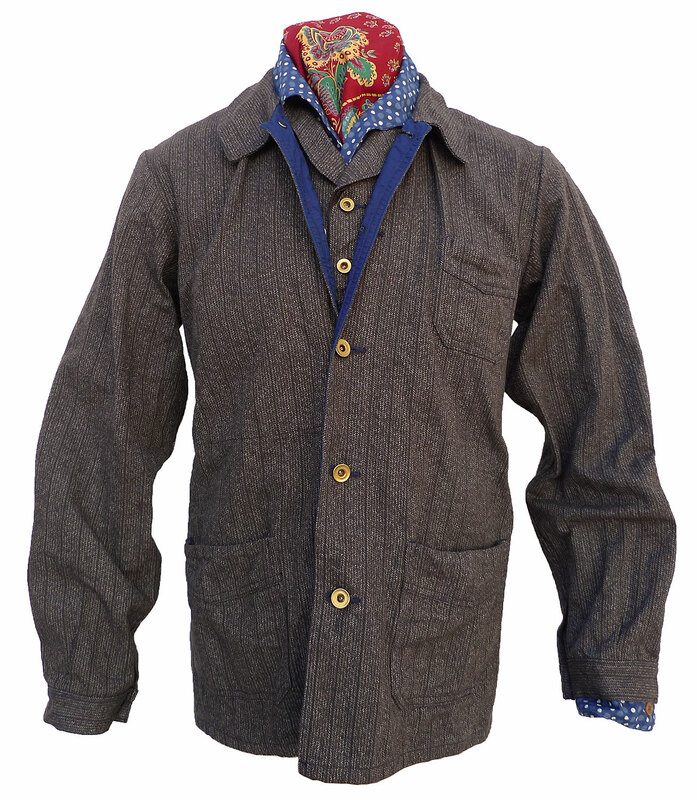 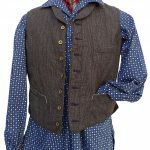 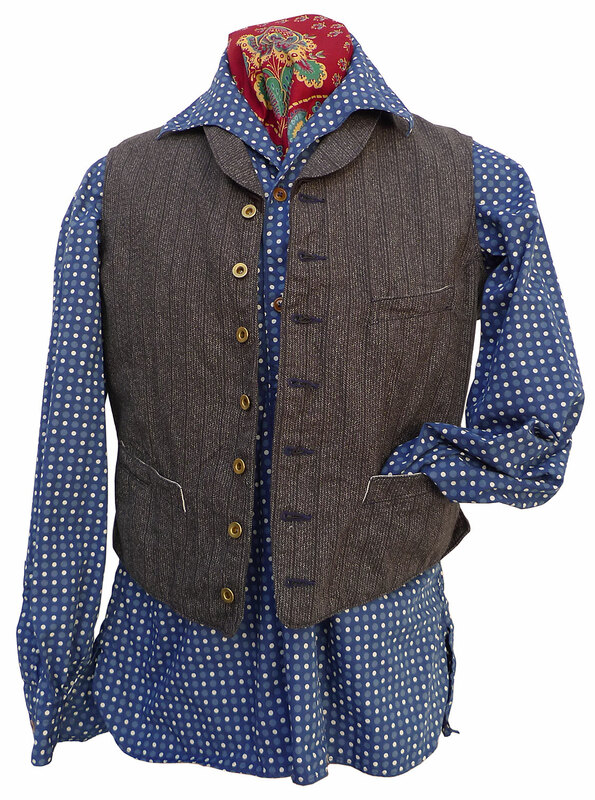 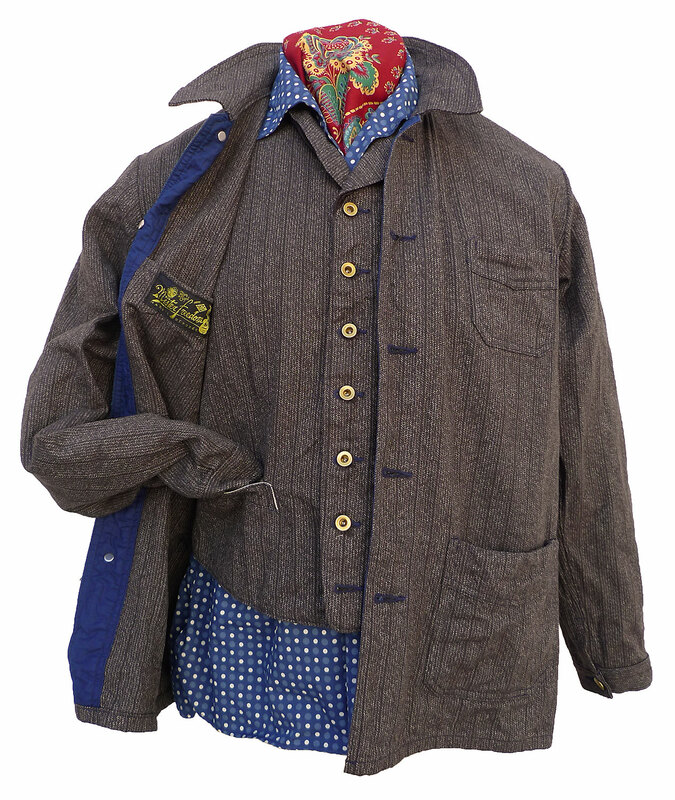 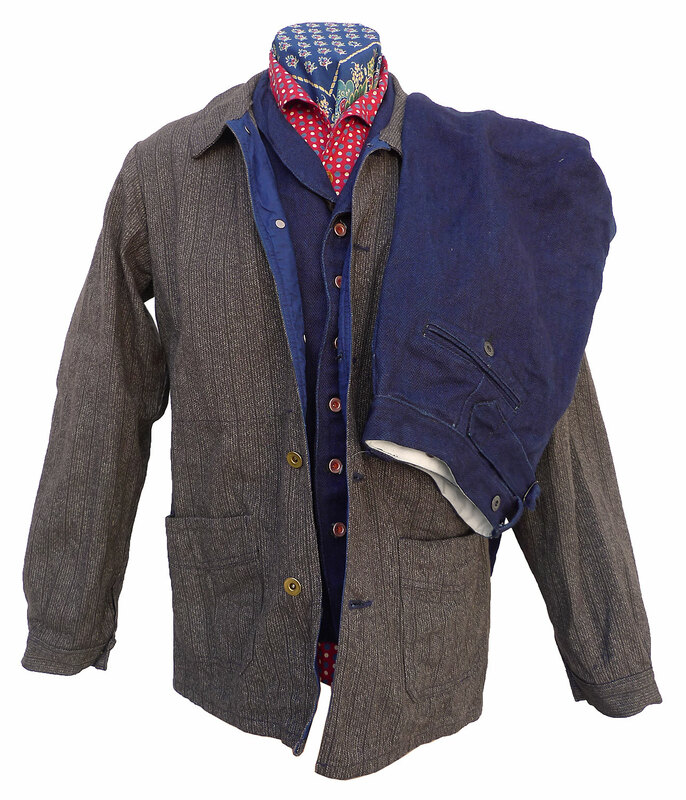 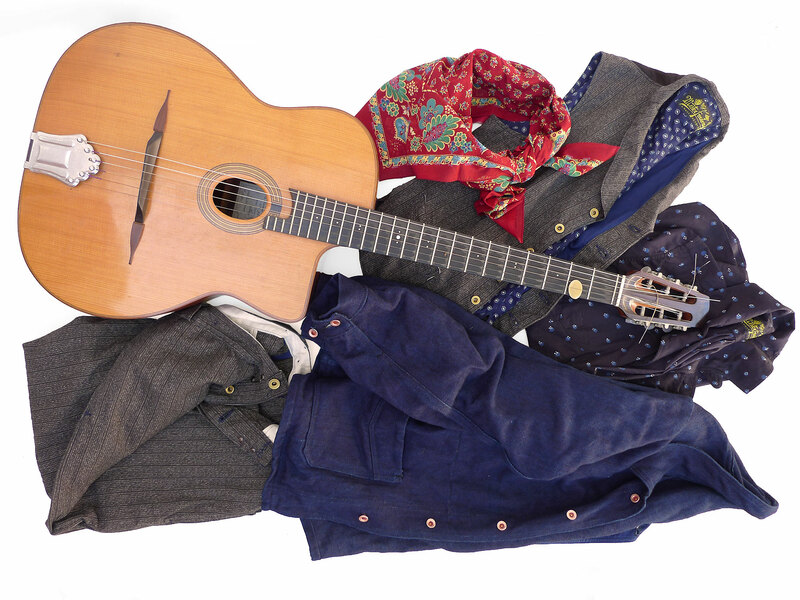 *MF® Gilet “Gadjo”: indigo cotton-linen HBT and cotton covert stripe. 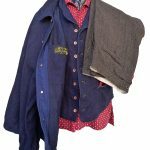 *MF® Pantalon “Valseur”: indigo cotton-linen HBT and cotton covert stripe. 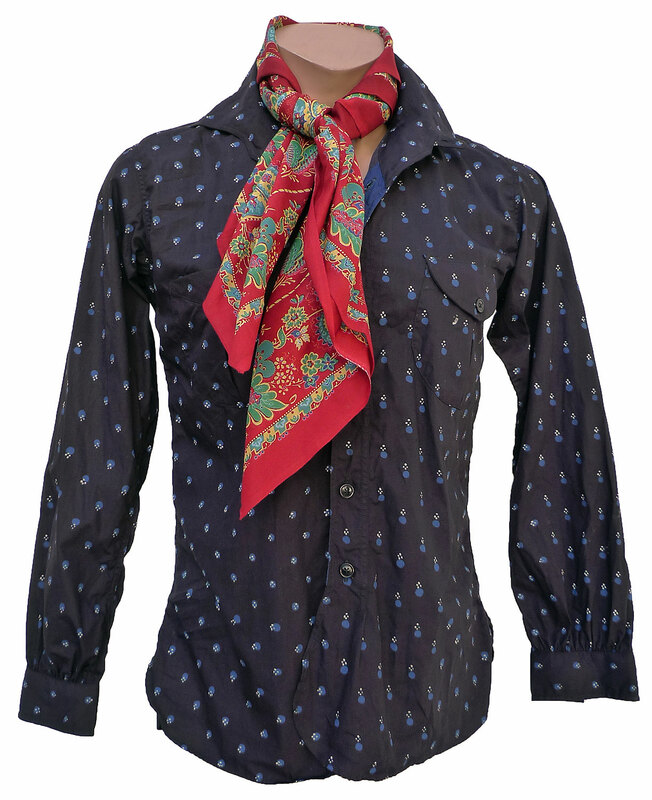 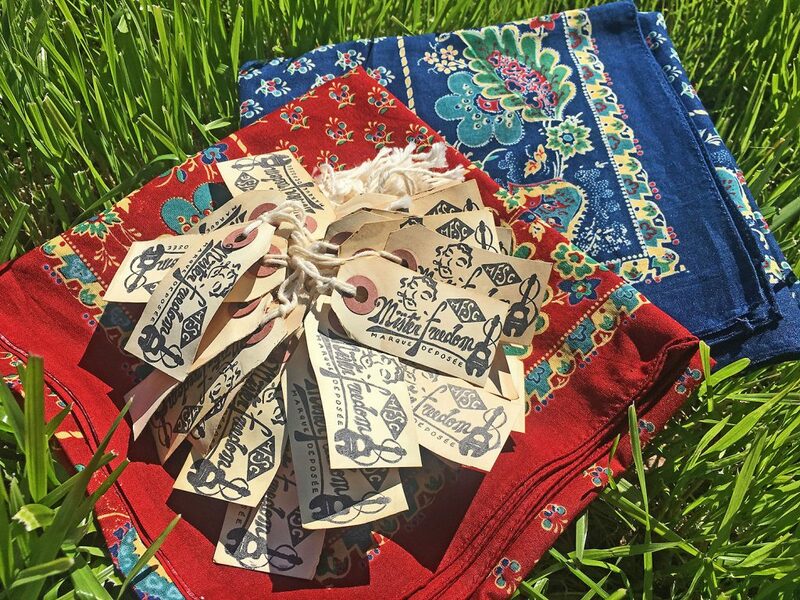 *MF® Carré Provençal: red and indigo print. 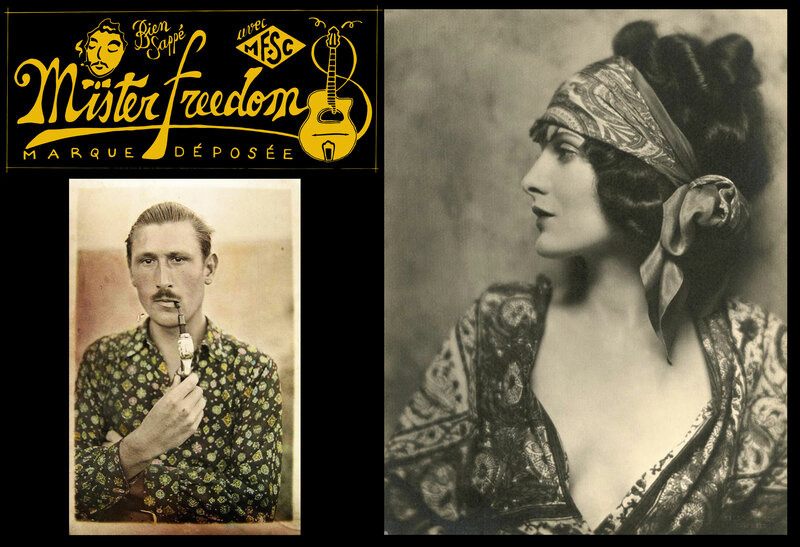 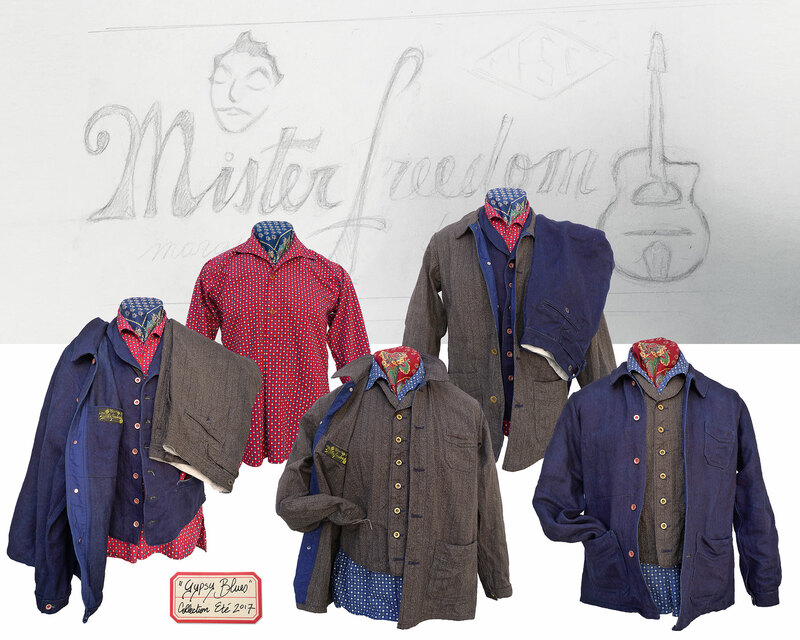 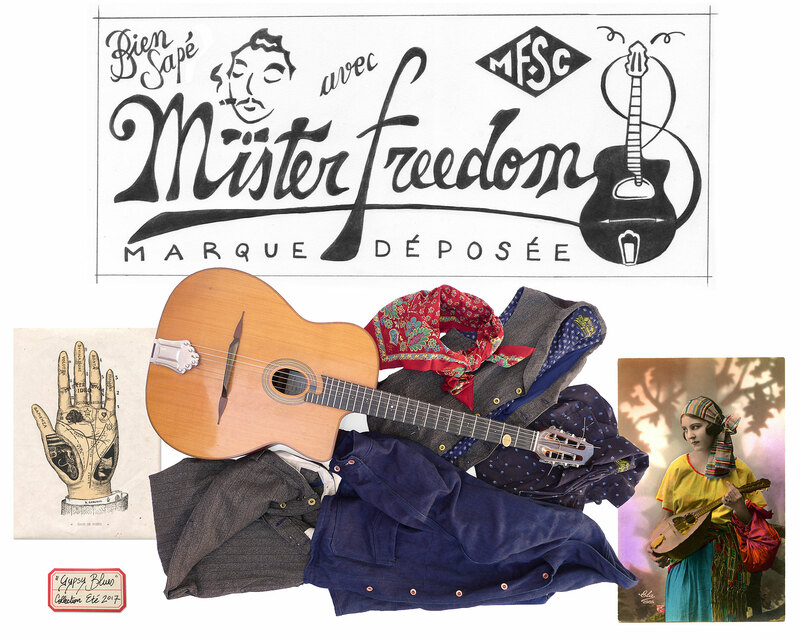 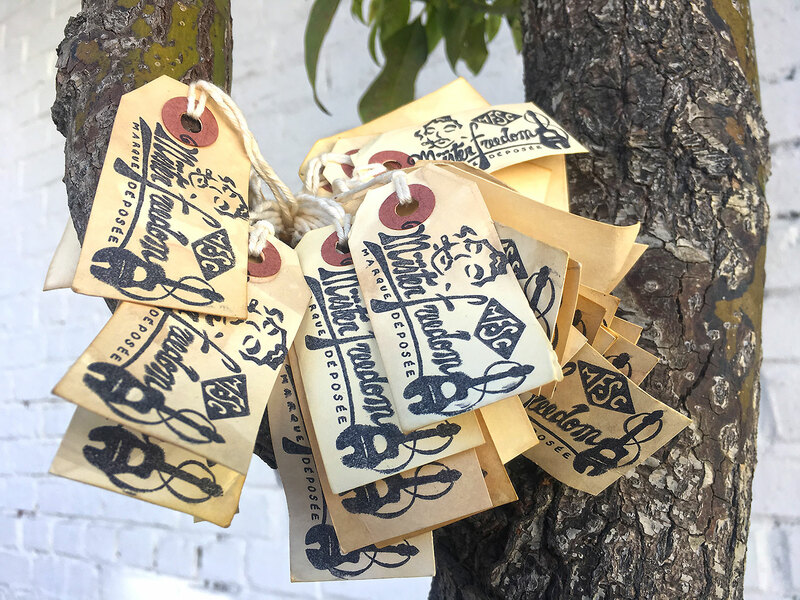 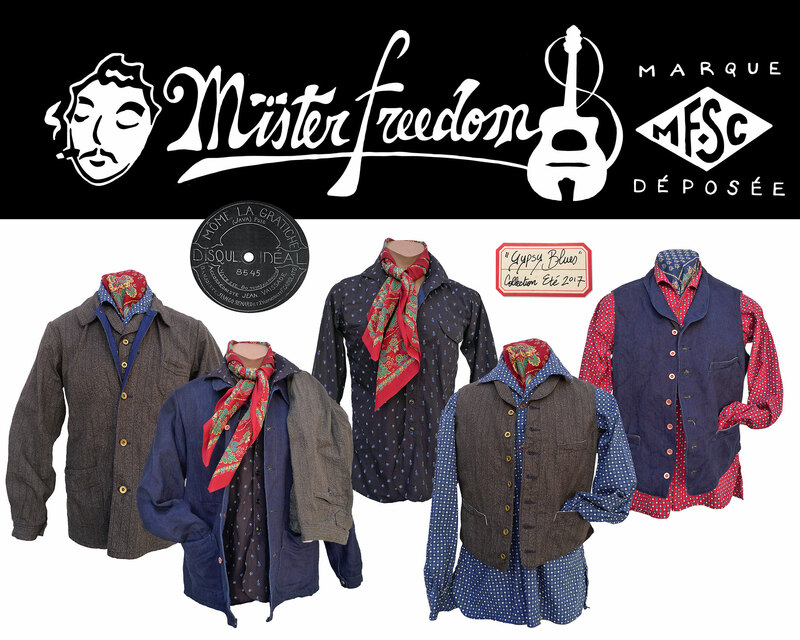 Email sales@misterfreedom.com or call 323-653-2014 with any questions.